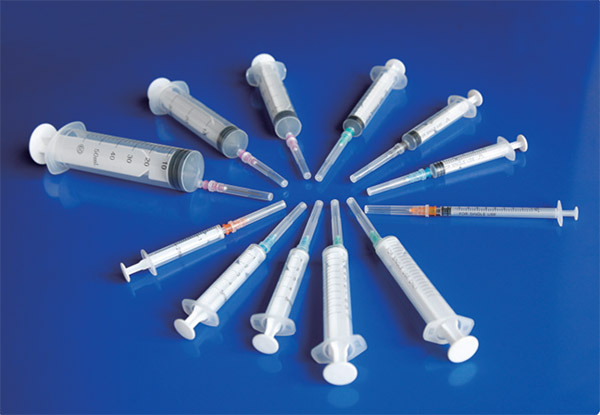 View our inventory of syringes for sale. At Potenza HRC Health we deliver high-quality syringes to keep your facility stocked with all of its needs. Contact us today should you have any questions about our products. 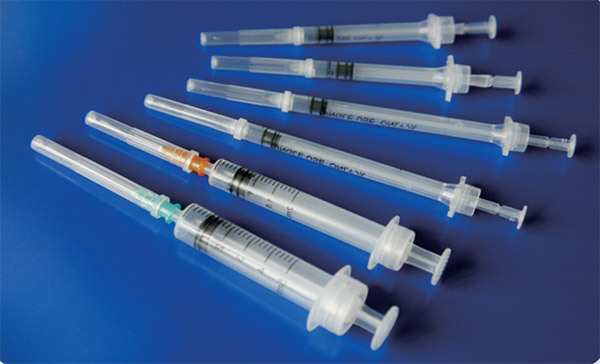 A medical syringe consists of a needle attached to a ollow cylinder that is fitted with a sliding plunger. 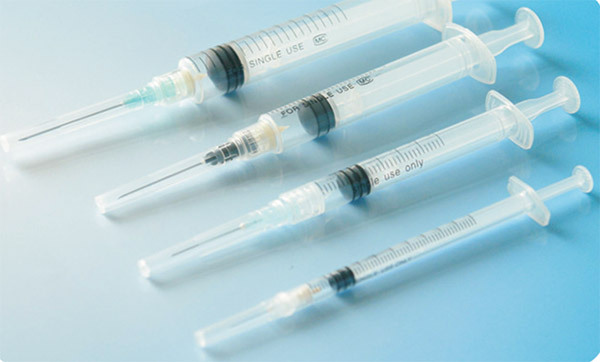 Auto Disable (AD) syringes are designed as a single use syringe, with an internal mechanism blocking the barrel nce depressed so it cannot be depressed again. The needle on a safety syringe can be detachable or permanently attached. 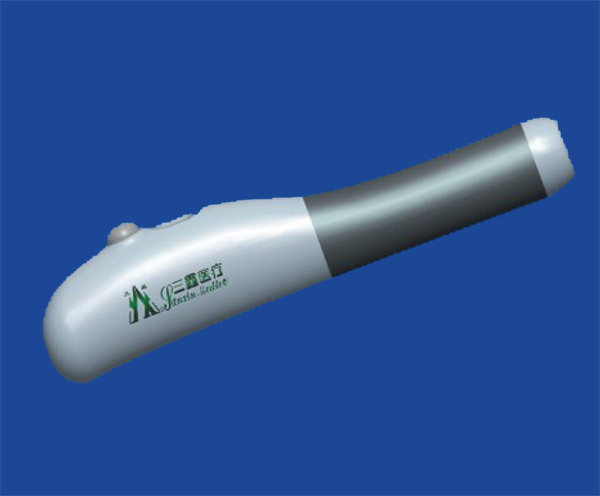 On some models, a sheath is placed over the needle or the needle retracts into the barrel following injection to protect from accidental needlestick injuries. Needle-free injectors prevent needlestick injuries to healthcare providers and can overcome improper, unsterile reuse and other drawbacks of needles and syringes.